The illusion of life is a magic trick. Used successfully, it can pull the wool over the eyes of an audience and fool them into believing that your character is alive and thinking. Building a consistant performance can sometimes mean the need for clear rules about who your character is or isn't. There may be a time when you have the funniest gag, but if used on a particular character, can break all believabity. Over on the Temple of Seven Golden Camels, Mark Kennedy discusses this topic indepth, using examples from some of our favourite features including ''Rapunzel'' and ''Lady and the Tramp''. Please click the pic to have a read! Making this idea simplier, Jean-Denis Haas has created a nice post on Spungella about structuring the order of a character's thought process. Keeping his advice in mind may help build a more natural performance. 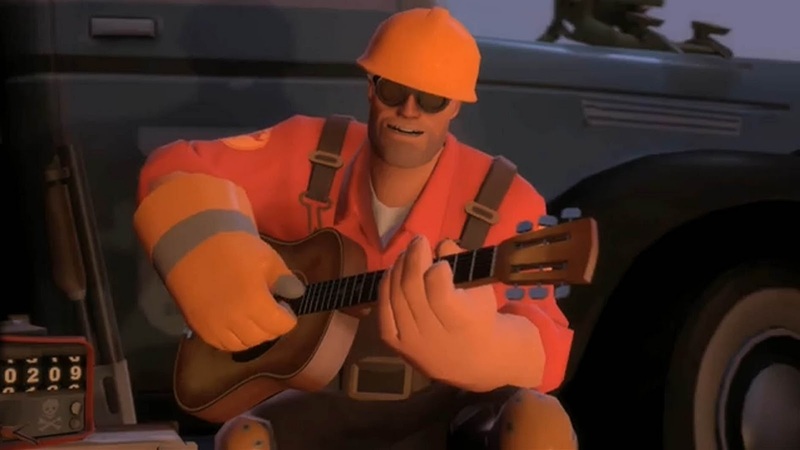 I wish to leave you with this great example from Team Fortress. Its a powerful introduction to a character. 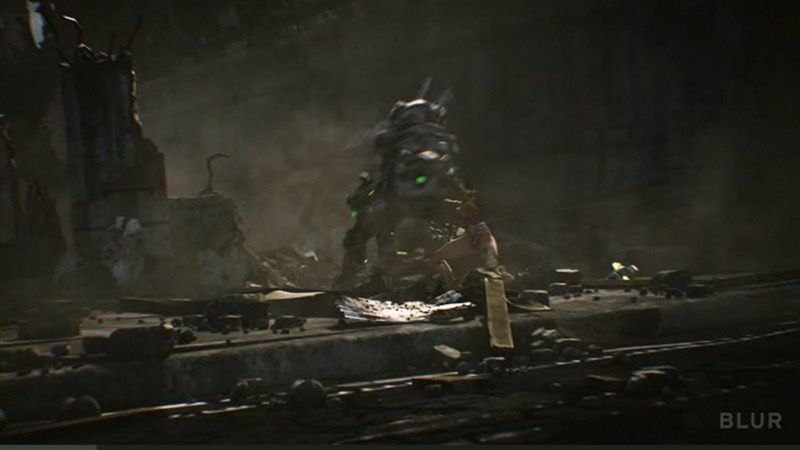 By remaining calm, smooth and collective while being attacked by surrounding gunmen presents the Engineer as much more deadly than his appearance portrays. To watch, please click on the pic. Enjoy! I stumbled across this rather nice collection of artists work. Great for reference if you're looking at different styles for your animation or even if you just want to look at some amazing drawing. One of the animation principles being 'appeal' (I forget which one exactly) I'm sure you'll agree with me when I say it is one of the most important principles. Unfortunately some animators treat it as a side note, or something to-do-later. It can make or break a piece of animation if that audience just doen't connect or relate. The beauty is, when your characters are appealing, the viewer will be captivated. I hope you find this resource useful. There are a few new ones that I'd not seen before and also some of my favourate animated films/series in there too. Click the picture or link above to check it out. Will Sharkey won our 11SC competition in September, presenting a sorrowful confession of a priest who loses faith in his religion. It was wonderful entry, consisting of a deep performance, some great prop interaction and a creative render. Here on the 11SC blog, Will takes some time to share some words. To watch Will's beautiful entry, please click the pic. Many thanks to Will and I hope you all enjoy the read! After I finished college, I was offered a job in an architectural visualisation company, interpreting tech drawing in 3D for proposed building designs. I was delighted to be doing something remotely connected to my degree but after working with the company for a month, I was slightly underwhelmed with the position as it didn't offer much diversity. 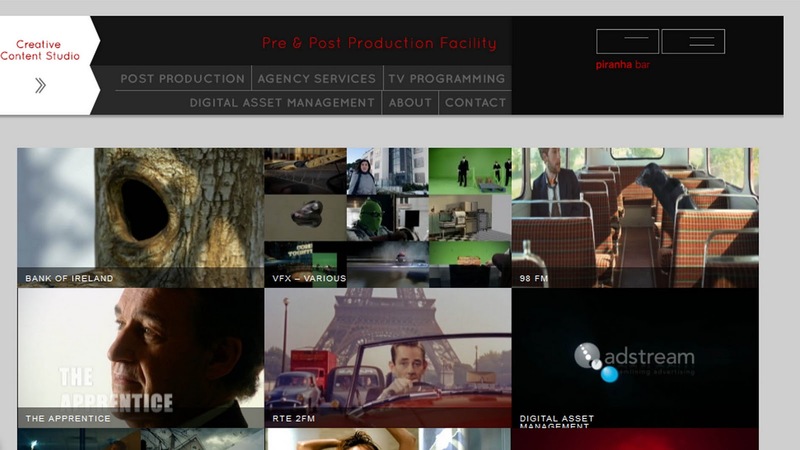 Two months and a few emails later, I joined Piranha Bar, a post production company in Ireland. When I first saw the caliber of work they were doing, I was excited if not slightly terrified to be offered an intern placement in commercials. I always hated when people told me that the jobs you want are down to luck and timing, but it was true in this case, maybe with a little added persistence on my part. I've been working in Piranha Bar for 5 years and it's a really great place to work, because, as a company, we pride ourselves on the more creative appoaches to a project. 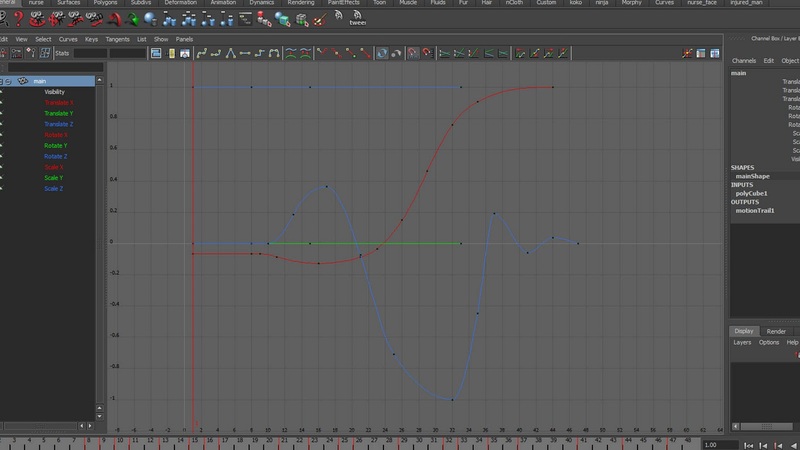 From intern I was trained in Softimage as a 3D generalist but I'm starting to find my niche in character animation and animation in general. Do you have an N-Zone / a goal you would hopefully like to have achieved in ten years time? I've actually thought about it! Two years ago I couldn't animate a character, I had no control over a performance. Nowadays im starting to come to terms with character animation a little more. Having worked as a 3D generalist, I love so many aspects of the medium from texturing to lighting and rendering but animation is really the one thing I consistently get excited about when brainstorming an approach to a new scene or project. In ten years, I'll be still learning and practicing animation, hopefully on bigger more demanding projects. You studied 'Model-Making and effects for films' at art college, a place that taught you design, physical props/mechanisms, sculpting, stop-motion character and set construction. Many students attend similar great courses which introduce general film aspects, yet do not focus on traditional animation principles. What advice would you give to somebody attending a similar path to becoming a character animator? The course I attended tried to cover as many aspects of film and film making as it could, but due its wide scope, I often felt that I had only scratched the surface of a topic before we moved on to the next. 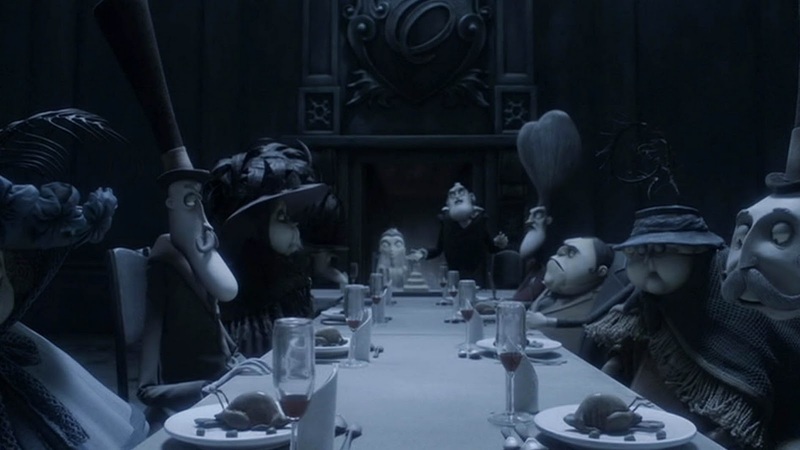 Animation and it's principles were mentioned but there was little importance placed due to the time restraints. It wasnt until I was employed as a 3D generlist that I realised the importance of researching animation principles when approaching any project. In animation, you always hear that there are no rules - this is true, but there are so many scenarios which have been discussed, tried and tested. For example a bouncing ball and its distribution of volume implyng weight as it hits a surface. These are set theories that are constantly translated well when applied to any performance. It's always quicker to learn something when a trained individual is teaching you but nowadays, there are so many resources available in the form of books and online tutorials. Richard William's 'Animator's Survival Kit' was my first stop. If you just buy that book and repeat what is documented, you will improve dramatically. I often repeated chapters a number of times as, half way down the line on the first approach, I realised that I've made a critical error and just started again. Honestly, that book taught me animation, something tells me im not alone there! Being a self taught animator, did you have your own structure of lessons for how to go about learning? I've been working in Piranha bar for 5 years, but I believe it only been two years that I've really been animating. After working on a difficult animation job, although the it turned out fine, I felt I had little control over the characters. So I went out and bought Richard Williams' book. I was sick of that slight question I had in the back of my mind prior to a job; of whether I could animate the performance that I was being briefed on. Firstly, I looked at the lessons online courses like Animation Mentor were giving their introductory students. I started out with a sphere with legs walking, all the time with a book open nearby. It really is just building blocks and practice. After I had attemped some walk cycles with a full rig, I approached 'jumping on a box'; after that running. It was a mixture of looking at students work, analysing the lesson structure and practicing all steps with an eye on a few books. My goal was to be able submit a competent 11 seconds club performance. With that in mind, I started attempting small scenes eg 'opening a door', as I found that working with exercises are a great step; working in a scene has its own set of limitations and challenges, of which you can learn an awful lot. 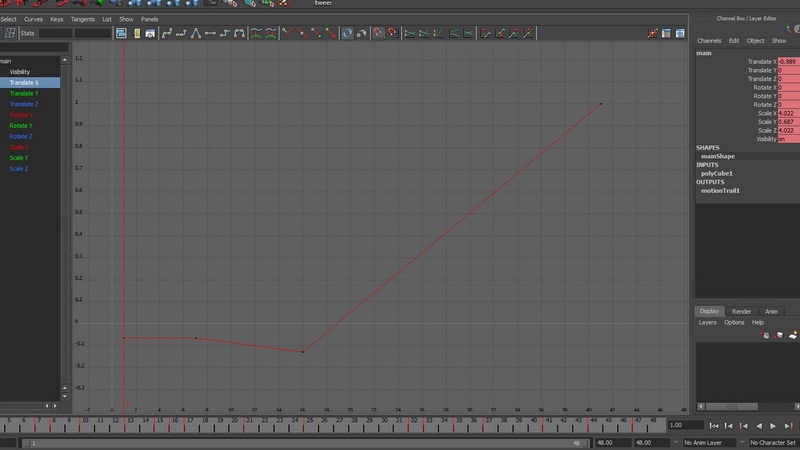 You are the 11 Second Club's first winner using AnimSchool's Malcolm rig. Please talk a bit about your experience handling the rig. When I set out to practice animation, I did some searching around on the internet for Softimage character rigs. I have rigged characters before but I am by no means a rigger, that would be time I'd prefer to spend animating. There were a limited number available for the community and though they were well constructed, most lacked any kind of facial controls; facial animation being something that I was leading myself up to. I was lucky enough to beta test an early build of Malcolm. The beta rig was solid and easily the most complex rig I'd ever worked with. It took a few hours to get conformable with the rig, identifying the core controllers working through the synoptic, but the range of motion and control you can quickly achieve made me appreciate the sheer hours invested. It's really fast considering the detail and the character is a lot of fun to work with. You entered the competition a month previous. After landing the 31st place, do you believe anything changed when you first approached your September entry? 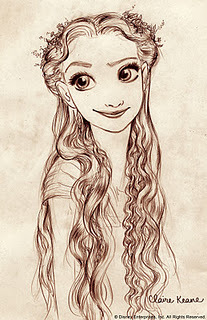 As I was so eager to enter the competition and I'd say I just plunged into animation and worried about the story after. In a way I didn't want to waste my time with a story and just wanted to get animating but I realised after, without some backstory, there is really no reason to care about a performance. I had a guy and a poorly framed bear, there was no introduction to the scene, it was just an explosion of animation without any pacing. I'd also say my choice of camera angle poor, the shot was too wide to spot the small detail of the bear, and it was something you only noticed at the end. From a more technical perspective, I realised I'd have a much easier time with hand arcs if I had stuck with IK for such movements, instead of switching between that and FK. For such a snappy piece of animation, your arcs have to be spot on, or else the animation will strobe.... and my animation strobed. Also, in my reference of the clip, my animation of the character warming up matched my final animation. A lot of people pointed out that there was too much happening in the beginning, especially in the 'warm up' moment. The winner of that month - Pairatch Lertkajornwong, has a similar idea of warm up, but it was well paced and you could feel the beats he hit as his characters ajusted with the movements. 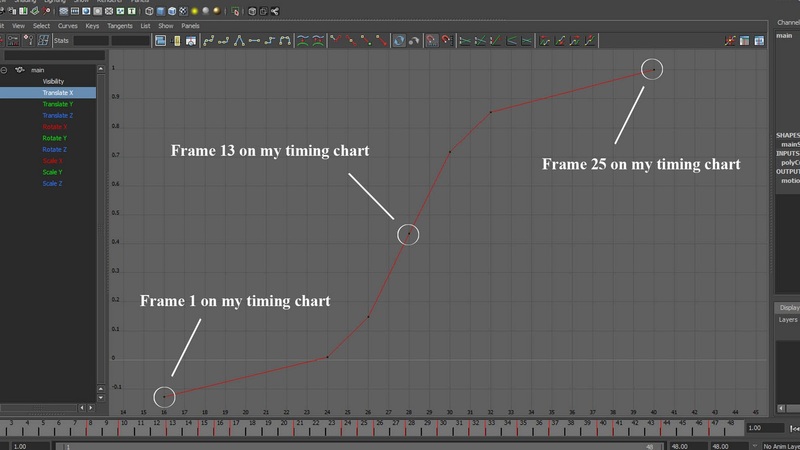 I learned that even though something is in your animation reference, it may not translate well with the same timing to your animation. You have to be ruthless, cut out what doesn't need to be there and not try to fit too much in. For September's entry I spent a good while thinking the line over during my day. I usually try and shoot down my first idea, because for me, it is usually the more obvious solution. Once I have an idea, I listen to the track several times, trying to find any kind of moments or anchors - benchmarks in the audio that hinge action. When you film yourself, you start to see little nuances appear, slight gestures that you wouldn't normally consider but really elevate a performance. At the dialogue moment when the Priest says 'never', I made an offset gesture with my left and right hands, it was something that naturally happened. In the eCritique Kenny Roys spoke about using a 'head shake' there, but again, that was my first instinct so I tried something different. Next I quickly sketched over the footage in photoshop, making notes, mainly mechanical observations that I should be wary of. Using the reference, I blocked out some rough poses, I never worry about the audio at this point, I'm just trying to find some nice poses that tells the story. After, I slip the poses along the timeline in sync with the audio. Blocking is my favourite part and I normally try and block for as long as I can before inbetweens, it's just easier to re-time at this stage. With blocking in place, I spline and keep refining. Once the lip sync is in, I make any final adjustment to poses and add in some secondary animation - to the hair etc. 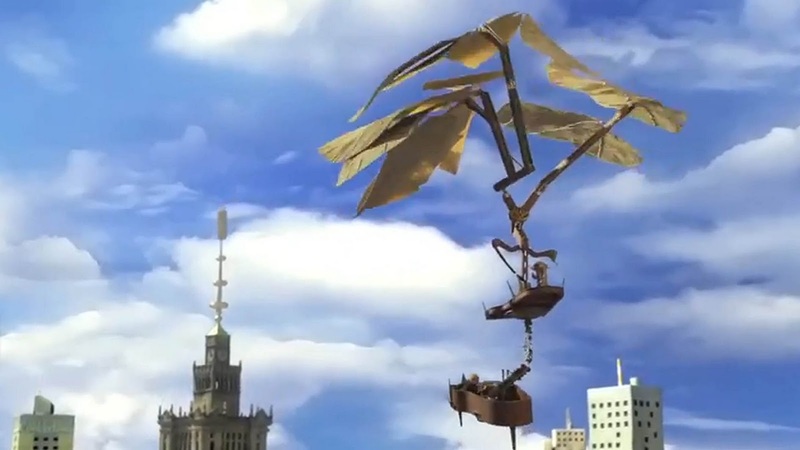 Where do you find inspiration as an animator? Or inspiration outside of animation? Actually, aside from animated films, I draw alot of inspiration from game cinematics. Studios like Blur and Blizzard create some of the best performaces I've ever seen, the standard is staggering. Working in commericals, deadlines are always tight but I've found that kids TV programmes achieve wonderful character results that are full of life with just clever stylistic animation. 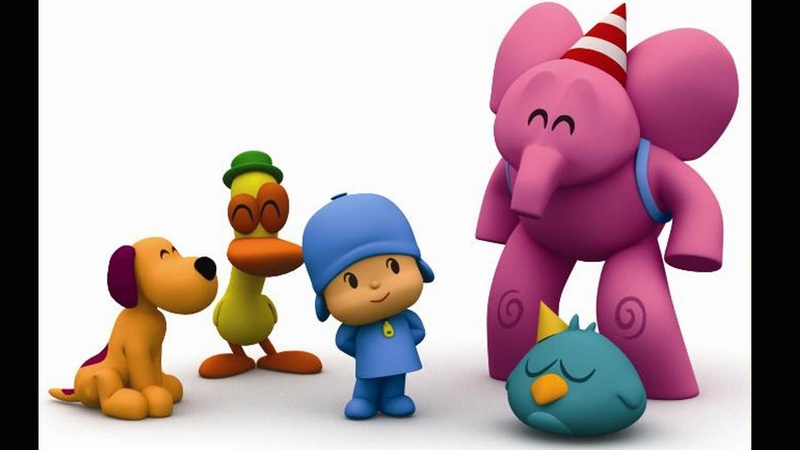 I find myself referencing 'Pocoyo' an awful lot as the characters do some ridiculous things but it always seems to work. Meindbender also did some work for Nickelodeon which is just amazing and highly technical for such a simple character. 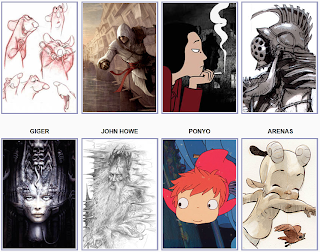 Inspiration outside animation is a difficult one to answer, as you can stumble across ideas from anything. For me, it's not something to be sought out. How did you create the backstory for this piece? I heard in the audio an individual speaking about the lack of finality in parenting, except for maybe through death - a subject which had been subconsciously playing on his mind. It was a line spoken by someone who lacked the courage or will to speak out before, but had reached a point where he could no longer be silent. The line out of context could apply to many scenarios. My initial tought was a war-torn environment, a sniper in a bell tower but I didn't want a story illustrated by guns or rubble. Instead I hoped to sell a performance of a character through internal discomfort - leading me to the idea of a priest struggling to come to terms to what he has devoted his life for. It was an idea that allowed the character a lot of introspection and thought; something of which I really wanted to animate. I chose a confession booth for the scene setting, as i loved the paradox of a priest reversing roles and actually being the one confessing. 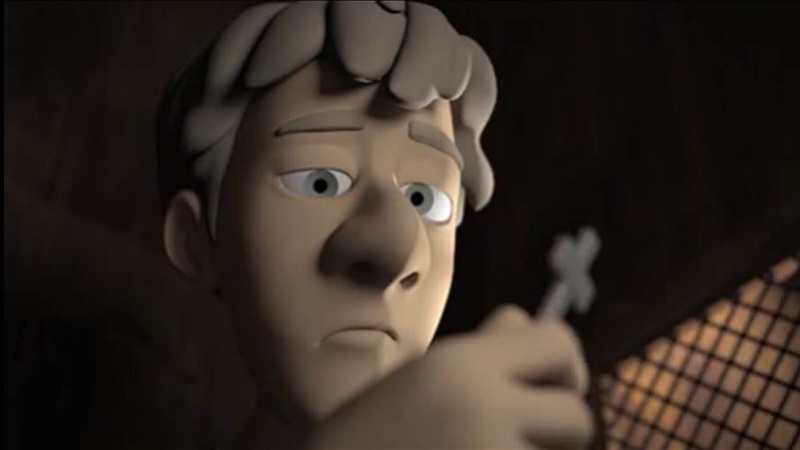 A crucifix is a powerful symbol of faith. I really like how you have used it as a key prop to tell the story. 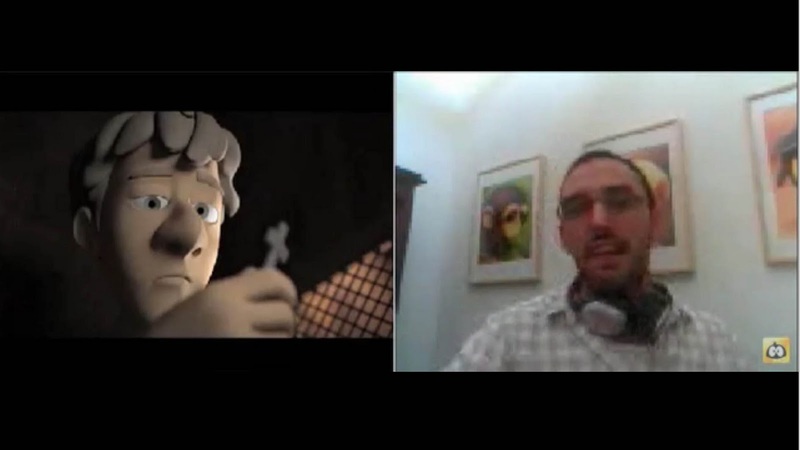 Talk the thought-process that goes into animating something like that. I felt the character needed a prop of some kind as he was going to be doing a lot of staring, and I needed somewhere to focus his energy. It was also a method of illustrating to the audience the subject matter of his thoughts. I've found that props can really sell a performance, they are like little characters themselves that other characters can play off to heighten overall performance. I used a lighter as a makeshift crucifix, filmed myself a few times and found that I toyed with the lighter from hand to hand, almost as a sign of uncertainty. In another take, I threw it or 'spiked' the lighter towards the table.The 'spike' moment was an attempt at a definitive gesture of frustration, a defining moment for the character for how he had devoted his life and the sheer conceptual absurdity of the subject matter. Within your shot you make six camera changes, which is a large number for the 11 second club. Some are really powerful and add superbly to the story. Please talk a bit about your motives behind some of the compositions. The main thing I wanted to do was mix up the shots. I researched films that had confession box scenes, in an attempt to see how people have solved the problem of filming in such a confined space. Quick cuts were used so that the audience never got comfortable in one camera angle, which I hoped would echo the character's discomfort. 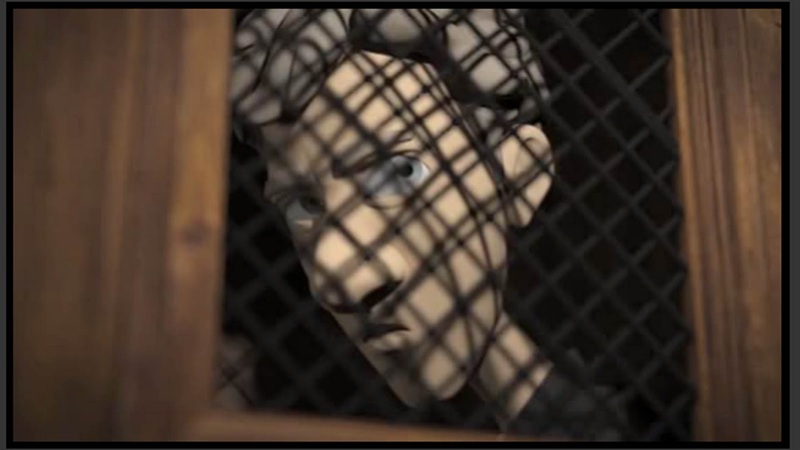 When I shot through the wire mesh, I wanted to illustrate the confinded isolation that the character had found himself in; I was delighted to see that Kenny Roy's eCritique had picked up on that. You have already commented on the fifth cut being the least successful. Have you any thoughts about how you may have approached it differently? I'm really on the fence about the fifth shot. In the final shot, the camera leaves before the character and then the character departs; catching up with the camera - as if both are in agreement. As every other shot is locked off, I felt I needed to pre-empt this with a slight move in the fifth shot. If I were to lose the fifth shot, shot four and shot six are too similar angle cut well together, so I'd combine those scenes. I'd have to redistribute my camera timing throughtout the animation, cutting time off the final shot and possibly adding it to the first shot. In my first 11 sec entry, I feel I did too much with the character, in September's entry, maybe I did too much with the camera. I'll get it right next time! What was your initial reaction to the eCritique? Kenny Roy's eCritique was amazing, thirty minutes of working through the animation really helped clear up a few things for when approaching similar situation again. 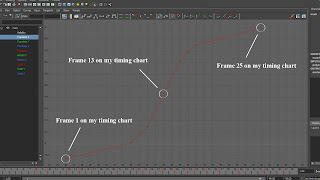 As I never been trained in animation, it a difficult thing to animate something and then know where to take your animation or even what aspect really needs to be improved. Kenny spoke a lot about acting choices which this is something I've been working on, so it was great to be pointed in clear direction with some solid feedback. Community members have commented on your superb use of lighting. I am a big fan of these type of skills and believe that, when used appropriately, it can really help the appeal of the story. Please talk a bit about your creative thoughts when lighting this shot. It got to a stage with the animation that I wasnt sure what to change or what needed more time, so I knew it was time to light, render and move on. The lighting itself took no time at all, I usually setup a general look for the whole scene, then break the scene into shots in order to light individually. I searched for images of confession boxes and referenced them for the final look. I had three lights, one for the shadow of the wire mesh across the characters face and resulting shadow on the back wall, a light next door, and a fill light, so the scene didnt turn out too dark. On the two shots in the opposite room to the character, I just made sure that the light wasnt burning out the wall and kept the characters room dark to add contrast - then added some depth of field as I felt the near wall was bright and a little bit flat. I feel its essiental to light your finished animation, it doesnt have to be dramatic, just an even setup that casts shadows, as those shadows really emphasis your contacts. Is there anything you'd like to add about your thought-process or experience in September's competition? It was difficult to juggle work and animation but I had loads of fun. It really worth entering the 11 Second Club as I had wanted to for a long time and I've learned a lot from doing so. Im going to keep in mind some of the pointers from the eCritique and apply them to my next work. 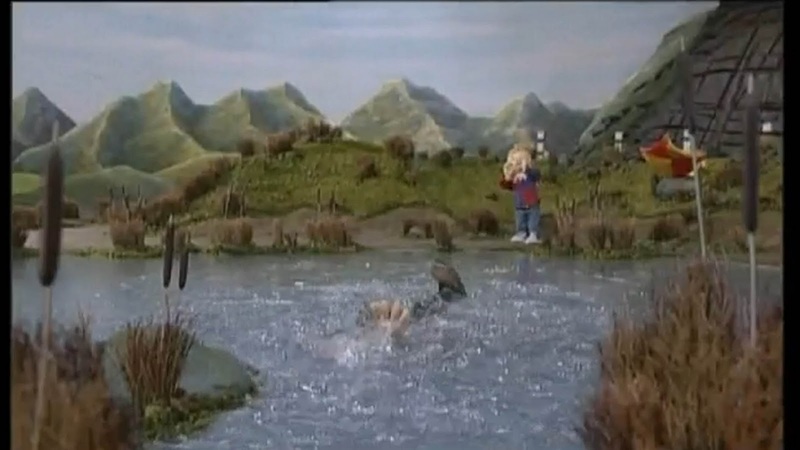 Welcome to the first post by me, Stina Boberg, an animator-to-be currently studying in Sweden. This post will be dedicated to my view on animation, coming from a very active music background. I have played classical piano and upright bass for over 15 years (participating in more orchestras, bands and ensembles than I dare count). I like to compare classical music and animation. There are many similarities, such as the ambition to tell a story and inviting the audience to an experience they will hopefully never forget. There are also many differences, 3 minutes of magic on a piano takes maybe a year to animate... it's hard to keep the feeling of magic up when you're staring at the same 4 seconds of animation for a week. I consider myself to be around the 8-year level somewhere. 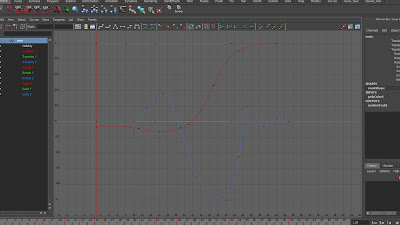 I know my tools and my basic principles (although still learning), I can create solid animation. But I'm nowhere near the stage of the 11-year old. Somewhere in the mess of tracking arcs, fixing the spacing, double-checking silhouettes, the pure magic that is supposed to mesmerize the audience is just... forgotten. And that's not very surprising. Animation sometimes seem to be all about the details and not so much about how it works in general. What does Benjamin Zander say about music and magic? Reduce the impulses. Feel how the melody travels, sometimes far away, sometimes home. I want to think of animation like that. I want to reduce the impulses to the bare minimum required to tell the story. The poses should feel like they belong together and tell the story of one single character. 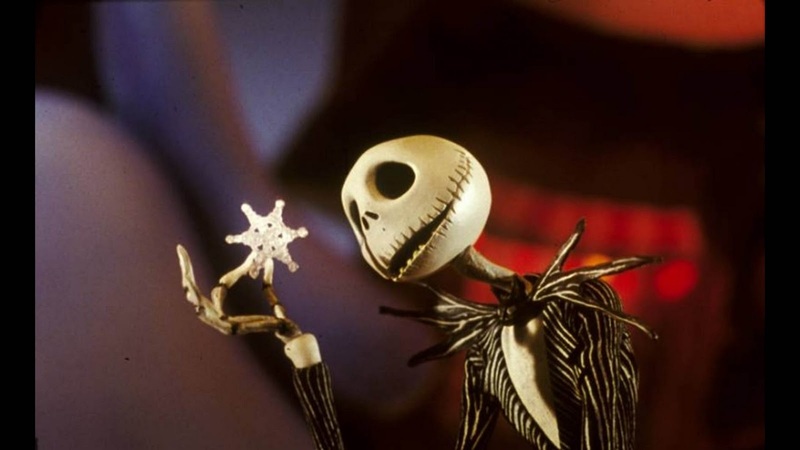 The day I can confidently do that, is the day I think I will find the magic within the animation. John Lasseter: Do not forget to Study the Basics! 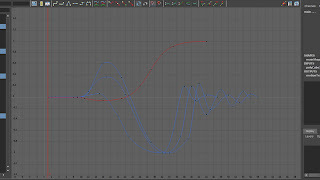 The temptation to jump straight into creating character animation can be very appealling. 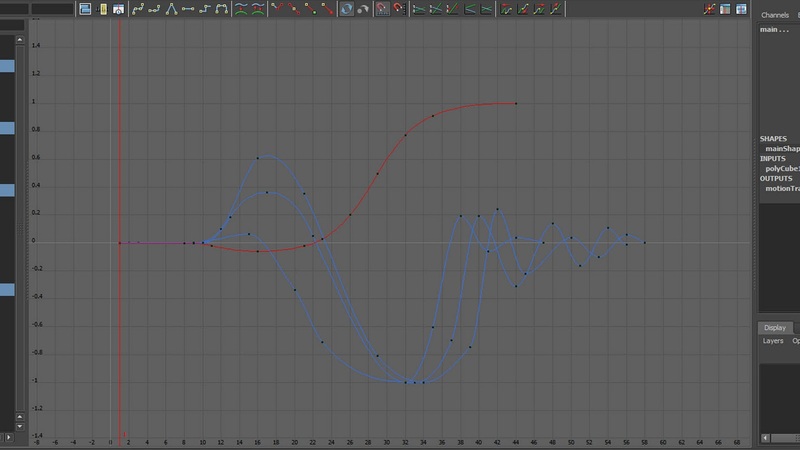 However, many animators can become disillusioned and neglect the need to study the basics. John Lasseter's video on the youtube channel for DisneyPixar, maybe created two years ago, but its message is just as relevant today as it was when the nine old men began their studies. In this post, I wish to show you all some gaming content as a way to open up a different way of looking at pantomime and body mechanic exercises. Being born in the 80's, I had the wonderful opportunity to experience the release and growth of Street Fighter, Mortal Kombat and a bit later, Tekken. I just loved the characters! I had several gaming magazines, where I spend time drawing the characters from each of the series and even included them in a comic book story for my secondary school ''Religious Education'' homework. Each character has their own way of moving and fighting, which has been determined by their unique backstory and personality. 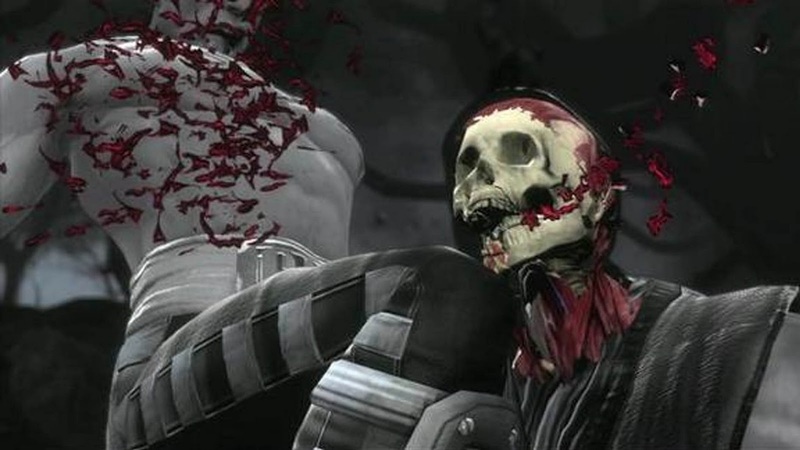 Please note, this link includes adult content of blood and gore, but I hope to highlight Mortal Kombat's variety of Fatalities as a creative display of cinematograpy and character. Next, I wish to mention a recently on the 11SC site. Chocobilly posted a link to Richmond Chaisiri's blog, Art-Eater, where he discusses the animation principles used in Capcom's 1994 title, Darkstalkers. Again, great creativity that is unique to each character. The game is admittedly new to myself, but looks gorgeous! To finish, I wish to link to a shortfilm produced by Blu Studios for the DC Comics. It presents a selection of well loved superhereos and villians, fighting for the saviour of mankind. The body mechanics are executed superbly and are so fitting to the story. Beautiful stuff, hope you enjoy! Please click the pic to watch. Thank you! I stumbled on the Pixar Library this afternoon and had to share. It is a great resource of research style papers explaining how to make everything work together. Among them is one that explains the collision system they built in order to have realistic grabbing of objects without dealing with the problem of penetration. The newest one is talking about a new multi touch system (common on cell phones and tablets now) that will aid in the setting of scenes. This isn't the typical "tips or tricks" we normally post but interesting stuff sometime deserves a look and this is well worth the read. Number 20!! Whoop! Now lets celebrate and have some fun! This challenge is based upon the circus. There are many, many possibilities it could be really interesting to see what is produced. It could be a clown, an acrobat, a ring master, a lion tamer... just open your mind and enjoy! 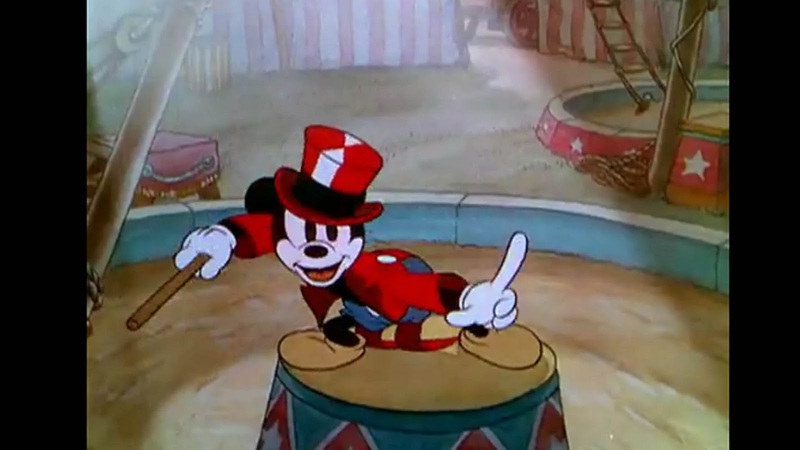 To get you in the mood, I wish to share a link to Disney's 1937 short, ''Mickey's Circus''. I love when the little seal swallows the fish, yet still innocently looks around for it. Such character and so cute! Please click on the pic to watch. 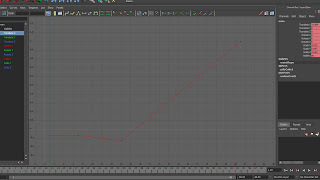 Again the animation could be aware between 75-125 frames. If you have any questions about submission requirements, please check How-to-participate section for more details. A while ago, I spotted a great post on Spungella and have meaning to mention it here since. 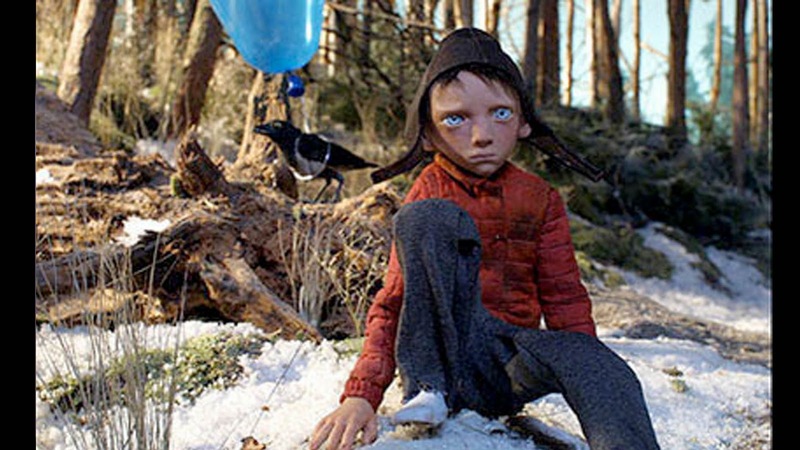 It linked to Movies.com which collected together some shortfilms, that showcase some beautiful stopmotion. 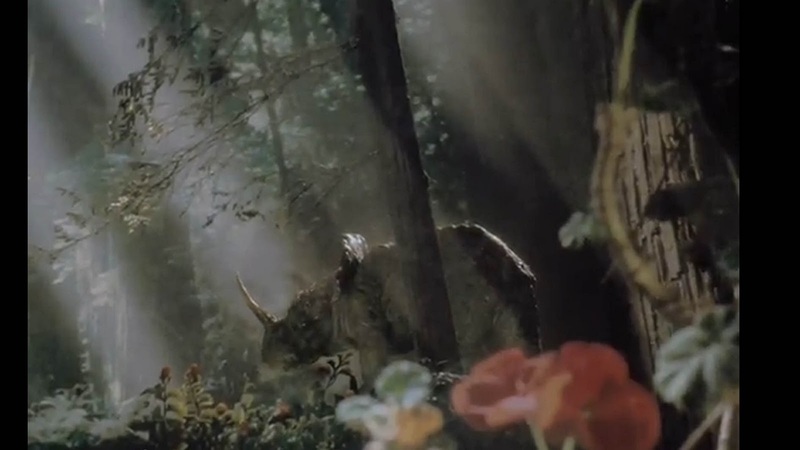 Spungella recommends checking out the Stop-Motion Animated T-Rex Scene From 'Jurassic Park', but I'd also advise checking out ''Prehistoric Beast'', a magestic film that is hard to imagine was shot in Phil Tippets garage! I also wish to share a link with you which isn't specifically character animation. Peter Jackson is currently in production of JRR Tolkien's ''The Hobbit''. 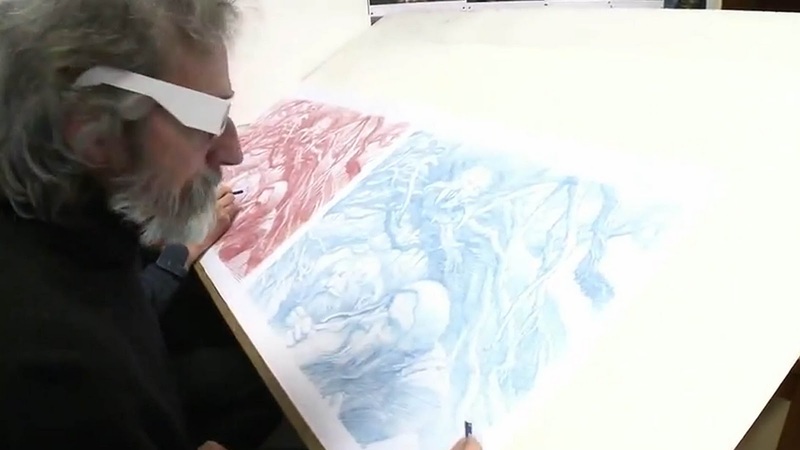 A video blog has been recorded which showcases new ideas for 3D film production, which include concept art made to be studied with 3D glasses.